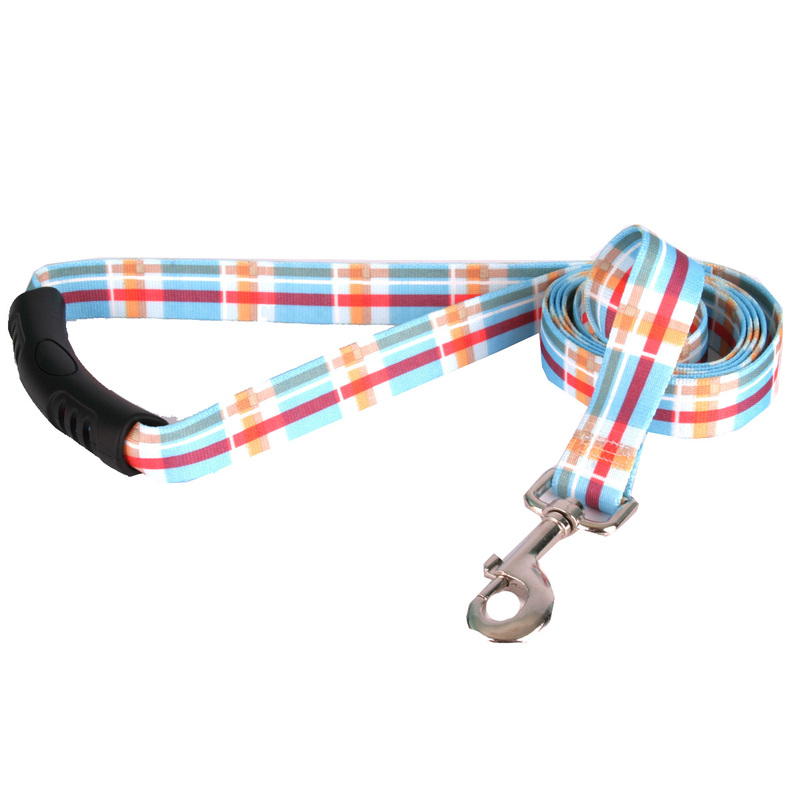 Bring out your dogs classic style with the Southern Dawg Madras EZ-Grip Dog Leash by Yellow Dog in Blue! The Southern Dawg Madras EZ-Grip Dog Leash by Yellow Dog is a sweet and soft look with a lot of southern charm. Comfort grip handle makes an a breeze to hit the trails and not strain your hands. Made with durable zinc and iron hardware and 100% vibrant color-fast polyester. Makes a great gift for any dog lover! These iconic designs coupled with the silver hardware for a beautiful, classic look and a perfect fit for your best friends. Made in the USA. Matching collar and keychain sold separately. Love this place so glad I found it and also am a dog groomer plan on telling all my clients about Baxter.